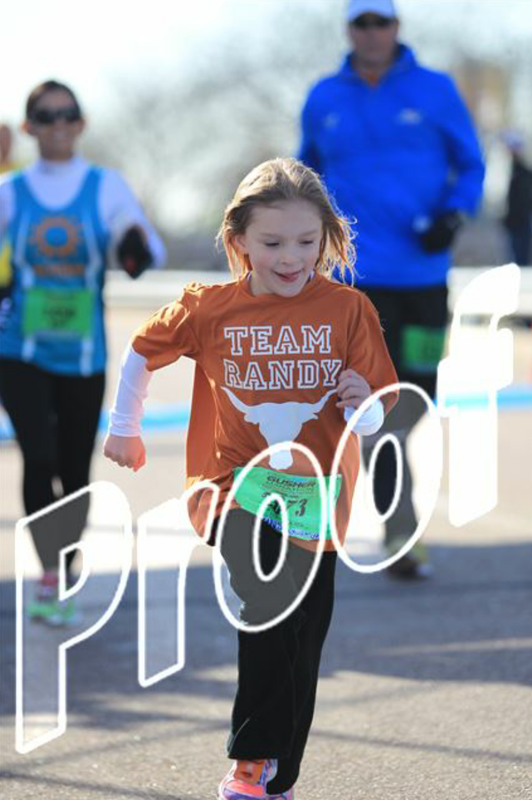 Ever have one of those races you’ve been planning months for and it doesn’t end up going as planned? Well, some races days just don’t go as planned and today was one of those races. 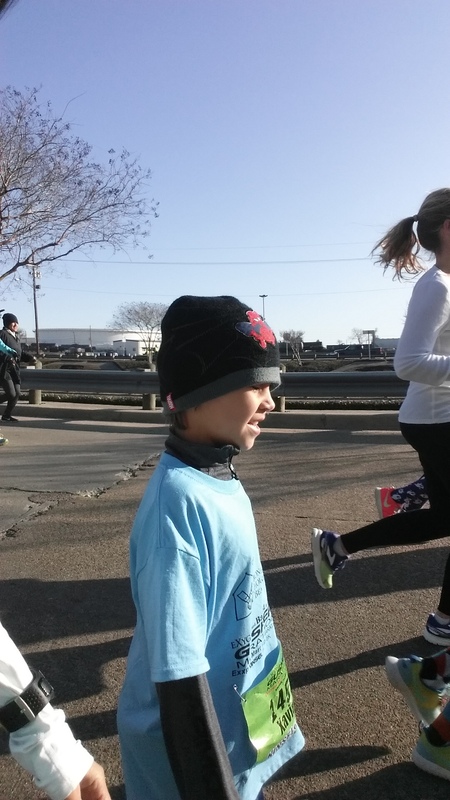 The plan was to run the Kinsel Ford 5K with all three kiddos except, Xander and Xayden weren’t able to run due to being sick (gotta love the day to day weather change of Texas) and Xavier insisted on running even though he had a horrible cough. 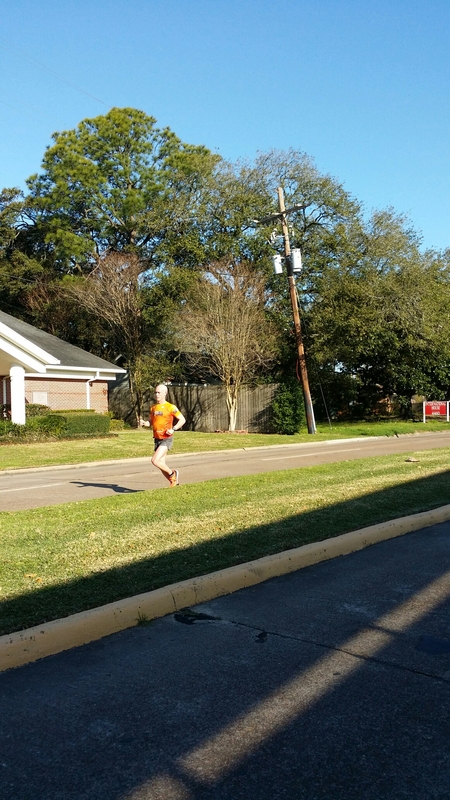 He worked really hard to get his marathon miles done before today and with today’s race it would put him at 26.2 miles for his Kid’s Marathon Club miles once he crossed the finish line. He wasn’t about to throw all his training out the window by not going (can’t say that I blame him). The morning was a bit cold and partly cloudy waiting for our race to start. While we waited in the chilly air, we mingled with friends sending off good lucks as they started the marathoners on their way. We bumped into Jon Burris and his niece, Sasha who were both doing the 5K. Xavier and Sasha quickly made friends and decided the four of us were going to run as a group. Xavier and Sasha kept the race competitive between the two of them. Their plan was to run to the fourth light pole (whoever got there first, won) then walk to the next two poles then run the next four. This was their plan the entire race lol. We had to make a pit stop for a donut and an orange (yes, the Gusher has donuts on the course). 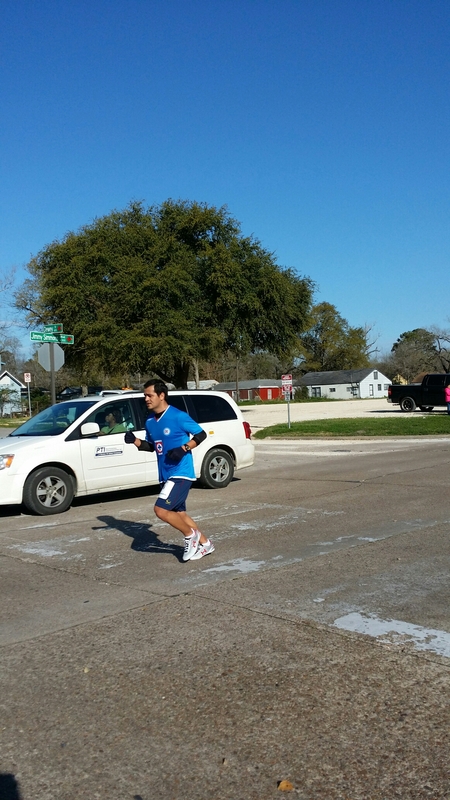 We saw some of GTS group pass by running their marathon. We had moments where Xavier and I were ahead of Jon and Sasha due to wardrobe malfunctions for Sasha, but we quickly fixed those and were well on our way again. 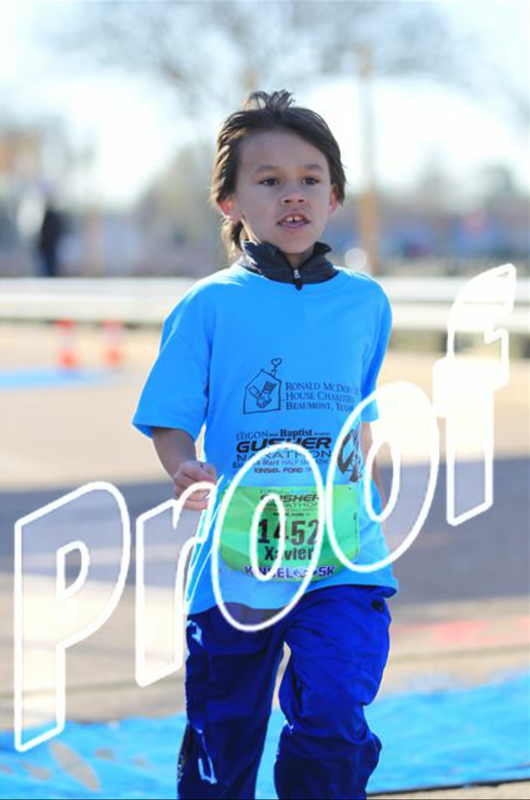 Xavier had moments where he’d need to walk to catch his breath but he just wanted to talk without having to run lol. 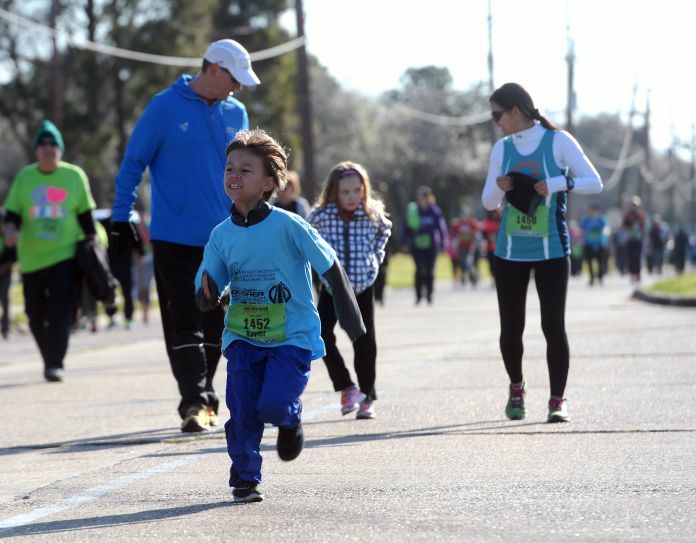 As we rounded the corner to the finish line, we told Xavier and Sasha that they needed a running photo finish across the finish line and you wouldn’t believe how hard and fast those two ran that last quarter of a mile. 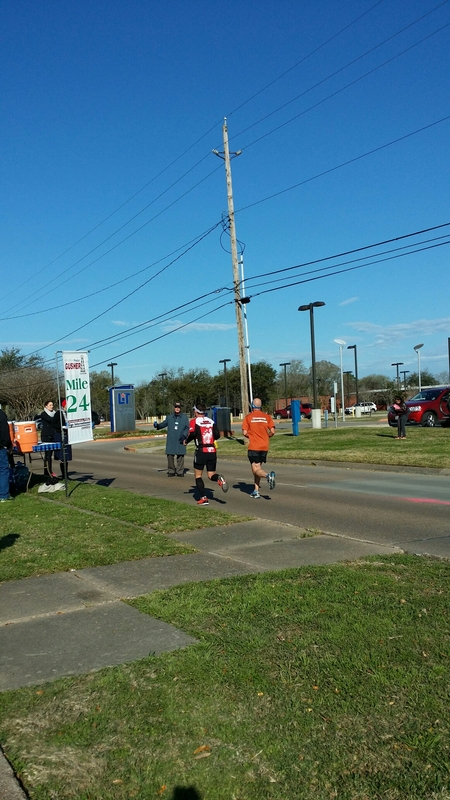 Everyone was cheering them on as they came in to the finish with Jon and I on their tail. They did an amazing job and had a great time! Such little athletes with great heart! I wouldn’t trade today for anything in the world. 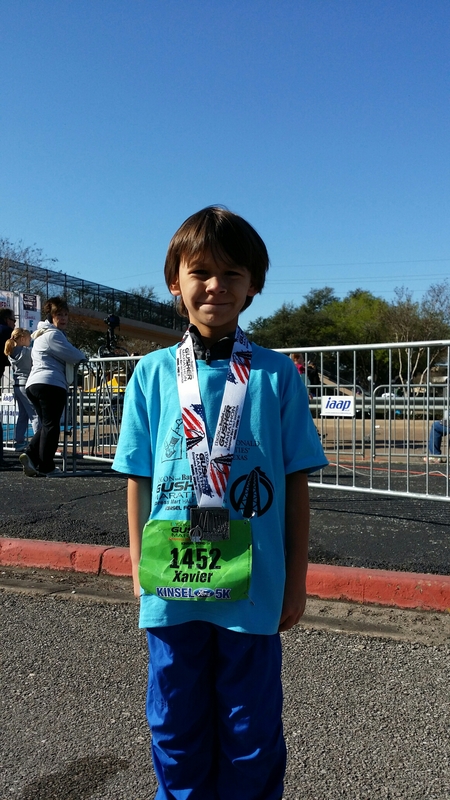 Xavier completed his first official 5K and I couldn’t be prouder! 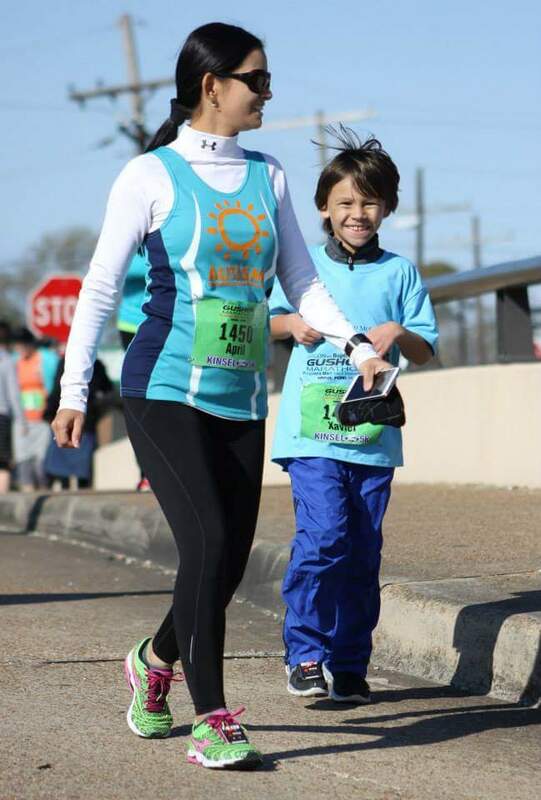 He told me several times on the course, “momma I love you!” and my heart just melts when I hear those three little words that mean so much come from him. He’s proud and looking forward to his next 5K, ColorVibe Beaumont.